The Latest Final Fantasy Xiv Guide. 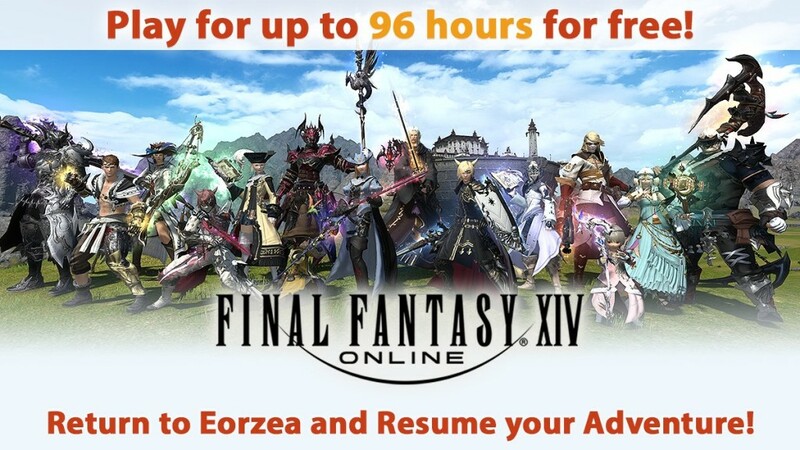 You can Read differernt kinds of Final Fantasy Xiv Guide here which can show you a lot of ways of how to play Final Fantasy Xiv better. 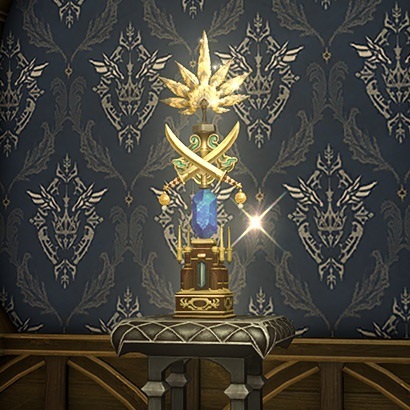 The next season of the competitive PvP FEAST mode in Final Fantasy XIV is about to begin and winners will receive exclusive prizes, including this new mount. It’s been several weeks since the release of Content Patch 4.2, which has brought some changes to FEAST’s PvP system. The icons on the board have been improved, the rules have been adjusted and there is a new mode and a map, the Crystal Tower. First and foremost, the development team thanked for the many suggestions and feedback on the new system and said that it is already being implemented. Some of them, such as customization of certain PvP capabilities, are already being patched with patch 4.25 on 13.3. go online. 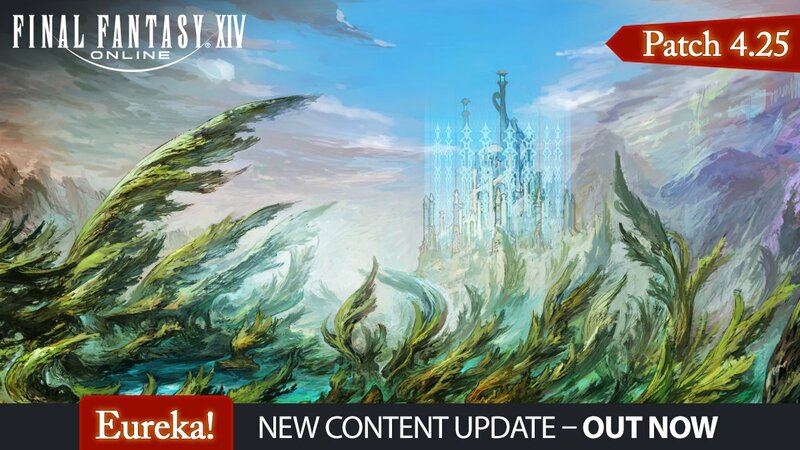 Larger changes such as the layout layout of the maps will unfortunately have to wait until content patch 4.3. The Project Manager Moriguchi emphasized that the changes in the layout will be very strong. 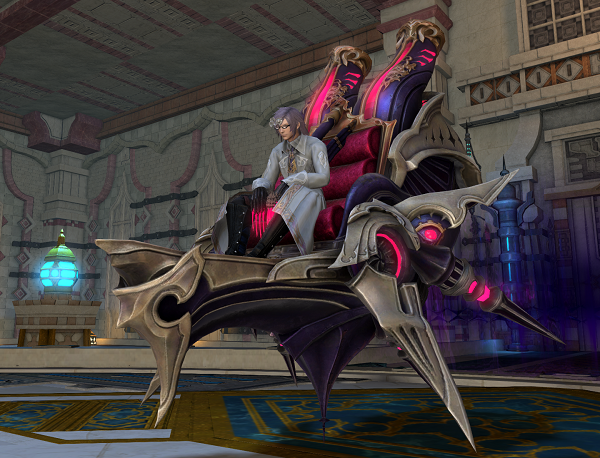 This flying armchair will be familiar to the Final Fantasy XIV players: it’s the same one used by insane Garleian scientist Aulus Mal Asina during the boss battle in the Ala Mhigo dungeon. All players who manage to stay in the top 100 at the end of the season will receive this chair as a reward as a reward. As a consolation prize, there are the special “Wolf Collars”, which can later be exchanged for an exclusive weapon of his choice. What these weapons look like was not revealed in the blog post. And for the top players who manage to be ranked first in their data center, they will receive a trophy to place in their private or guildhall. 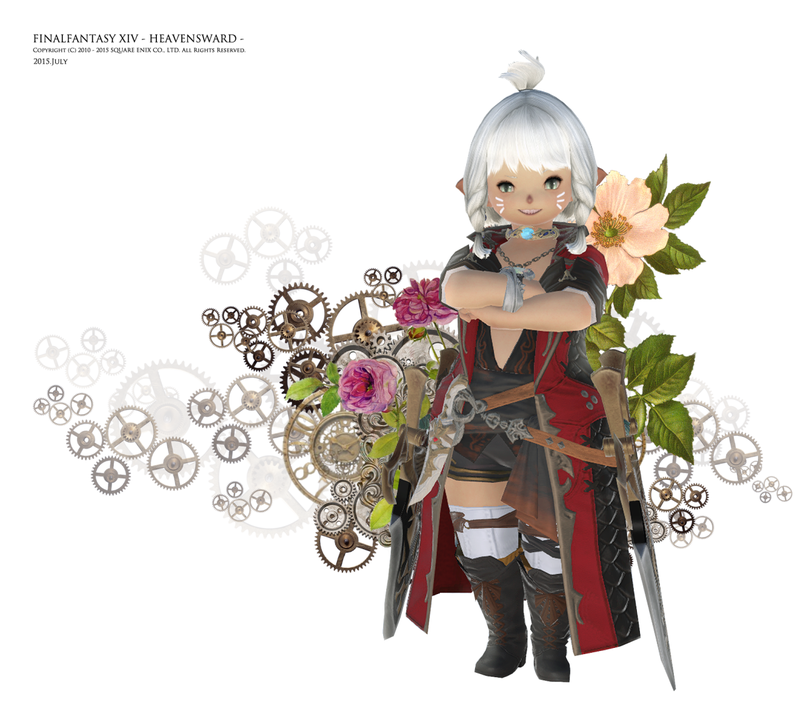 Square Enix announced that the Little Ladies’ Day event will return on March 1 for Final Fantasy XIV and will run until March 14. In this case, it is a musical performance of the group Songbirds. Players can enjoy the songs using emotes to express themselves, even with light sticks. 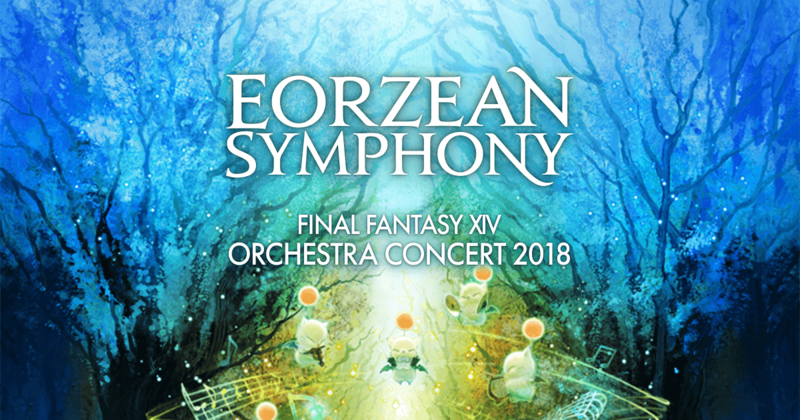 The event will be in Ul’dah. Players with level 15 or above can chat with Mythril Eye Reporter in the region. 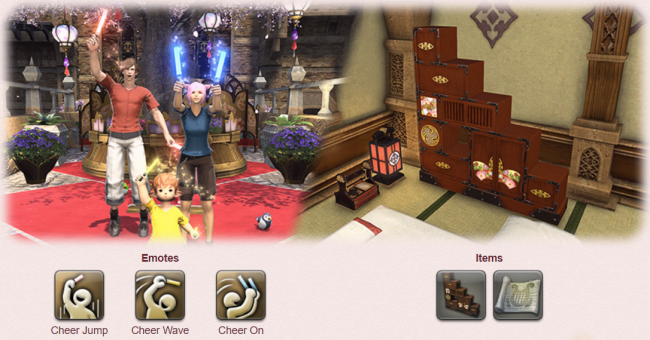 The image below shows the special emotes and exclusive items that can be obtained at the event (Cheer Jump, Cheer Wave and Cheer On, as well as Far Eastern Doll Display and Siren Song Orchestrion Roll). Much like the base game, there are points along the way where co-op gameplay is required. Your character must team up with a range of other players to clear out a dungeon or take on a giant challenge. These are generally quite interesting and include a bunch of cool mechanics – I still love the one major battle we had where the best instruction anyone could give was “tanks, ignore the boss!”. While for the most part people continue to surprise me in Final Fantasy XIV Heavensward and are quite patient and nice to each other, I did find the community a bit less accommodating in the expansion. Perhaps it’s because the quests are more difficult, or maybe it’s because people think they are so pro now that they are even higher level, but I encountered a bunch more abuse and rage quitting in the Heavensward dungeons than I did in the base game content. Thankfully, the dungeons in Heavensward aren’t quite as common or integral to the plot. Much more enjoyably, more duties seem to involve story NPCs this time, helping to improve the bond I felt with the characters from the story. There’s nothing like defending your healer friend who you know is going through emotional difficulties thanks to the stuff that happened in the story, while having your other long lost friend appear as a tank – it adds a much greater connection to the task at hand as compared to playing with a bunch of strangers. Of course questing in general is better with friends, but I did find that at least this approach to storytelling improved my emotional connection with my character and her team. 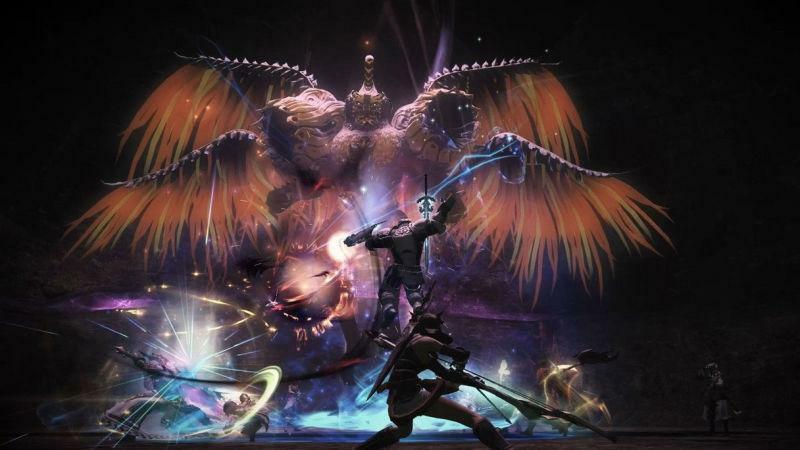 Heavensward also features a ton of FATES, events that take place around the open world that usually require some cooperation between a whole bunch of players. These can be hunts or specific tasks in a preset area with excellent XP and currency rewards. However, I found players much less likely to take part in these in Heavensward. I suppose everyone was too busy flying around the world or something, but there just didn’t seem to be as much community feeling in the expansion. 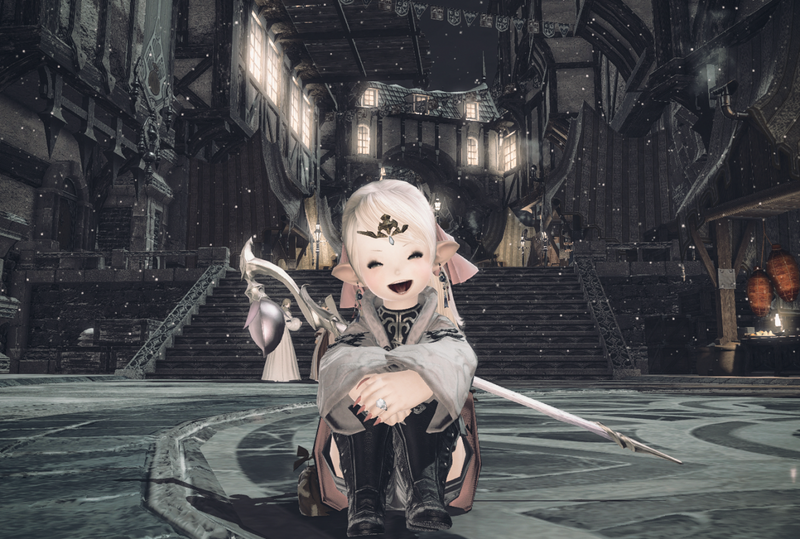 Astrologian is the healing job of the group and plays almost like a hybrid of White Mage and Scholar from A Realm Reborn. While Astrologian can inflict damage, just like White Mage and Scholar, their primary purpose is to heal. In addition to the Astrologian’s ability to switch between two stances, they can also use cards. An Astrologian can draw a new card every 30 seconds, then play it, drop it or save it for later use. There are six cards you can draw: Nophica’s Bole (Earth), Azeyma’s Balance (Fire), Byregot’s Spire (Lightning), Oschon’s Arrow (Wind), Thaliak’s Ewer (Water) and Halone’s Spear (Ice). Nophica’s Bole is a reduces the damage a party member takes. This is best used on your tank, but it can also work well if you have a squishy DPS class that likes to take the hate from the tank. Azeyma’s Balance increases the damage output of a party member. This should be used on a DPS class to boost their overall damage. Byregot’s Spire lowers the amount of TP used for skills and comes in handy during longer battles. While this should generally be used on a DPS job, it can also be beneficial if you see a Warrior using Overpower a lot, or some other similar situation. Oschon’s Arrow increases attack speed and lowers the global cool down and cast time of spells. This should almost exclusively be used on DPS classes, but if you have a Warrior or Dark Knight off tank it can also help them as well. Thaliak’s Ewer cuts the MP cost of spells for a party member. While this should generally be reserved for a Black Mage, it also benefits a Paladin or Dark Knight depending on how they’re playing the job. Halone’s Spear lowers the cool down time of any ability that wasn’t already active when the card was used. It also doesn’t impact the Astrologian’s own Draw ability. Once you have drawn a card, you have 15 seconds to determine how you wish to use it. If a card is not used during that time, it expires and the Draw ability cool down begins. You cannot choose which card you draw, it’s completely random. However, you can use the Spread to save a card for use at a later time or the Shuffle ability to return a card to your deck and draw another one. Unlike the Dark Knight, unlocking the Astrologian in Final Fantasy XIV: Heavensward is fairly straight forward. Marked on your map in the Pillars is the Athenaeum Astrologicum. Enter it and you’ll find Jannequinard, your quest giver. Accept the job quest, Stairway to the Heavens, and follow its instructions. First, you’ll have to speak to three Astrologians right outside of Athenaeum Astrologicum. Easy. Next, teleport to Coerthas and head south to reach the Observatorium. Go about half way up the large tower and you’ll find your next quest target. He will point you in the direction of Quarrymill which will be your final destination. Follow your map marker and you’ll view the final cutscene. After that, you’ll have unlocked FFXIV’s newest job, hurrah! However, you’re going to have to learn how to be a proper FFXIV healer real fast, because your next quest will rely on your ability to keep a small party alive. While you’re free to do what you like after unlocking Astrologian in FFXIV, it’s highly recommended that you go ahead and also start your next quest right away from Mace’s Granddaughter.